I really like that phrase above, it’s part of a quote I came across this week, I believe by Ray Winstone (corrections welcome if I’m wrong): “… you should never stop trying to get better. You have to teach yourself new things …”. That’s really what the ethos of my traineeship is about, learning and practicing new things – whether it’s information such as identification of species or new topics (geomorphology for me at Chesil! ), or learning new skills. This week’s learning returns back to the theme of birds. 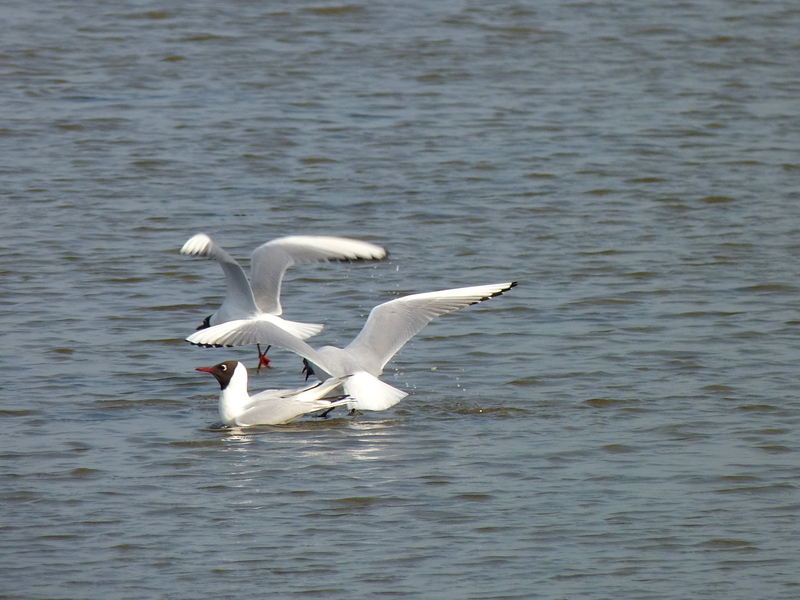 With so many interesting birds on The Fleet or flying past, is it surprise? I also spent 24 hours on Brownsea Island, where I saw 5 new bird species and another that I’d only seen once before very briefly. I was also attempting to improve my birds in flight photography, and I think that this was my favourite, although not both are in focus. 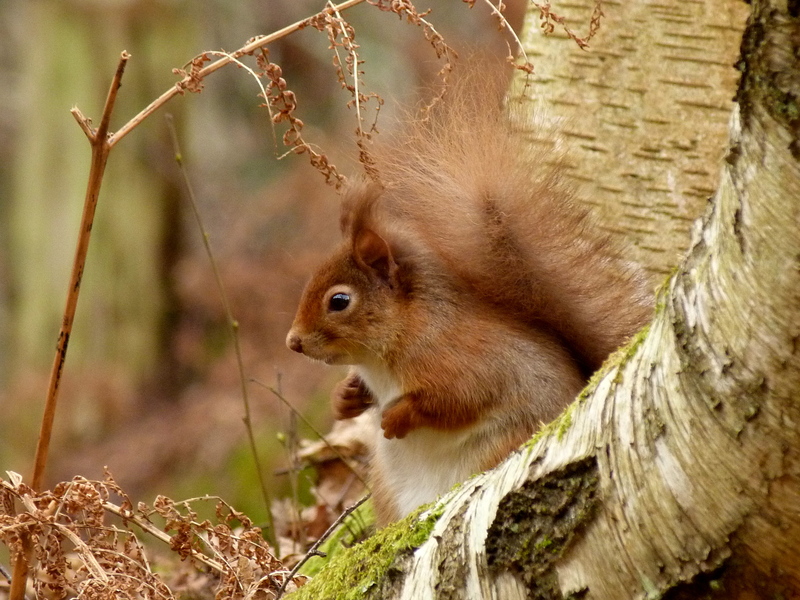 However, it wasn’t all birds on Brownsea! I also persuaded the warden to set out the moth trap, as that is another area where I’m trying to learn a lot. 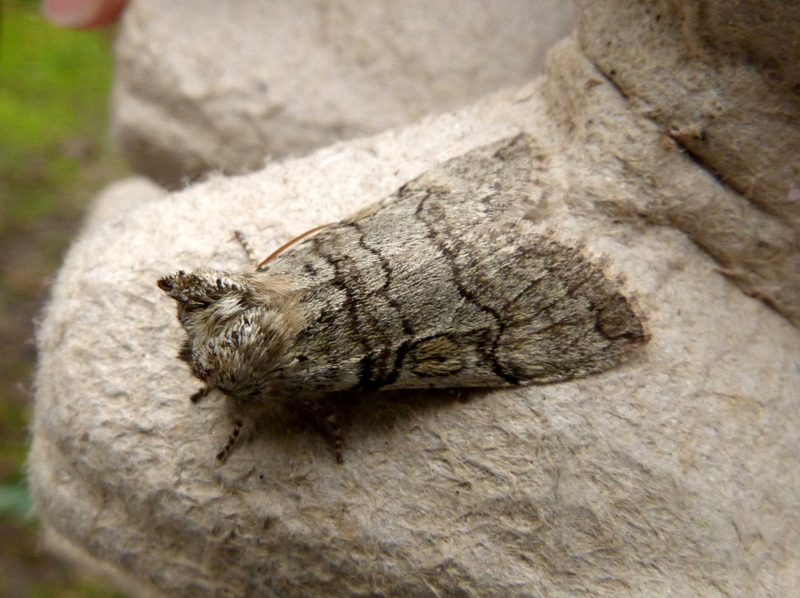 Despite the chill, we caught 14 moths in total, from 6 species! Although I’m keen on moth trapping, I’m a real novice so it was brilliant to open up the traps with the DWT Brownsea staff as they knew the moths and could point out the particular features. Whilst puzzling over them myself would’ve been great practice, we were in a bit of a rush! 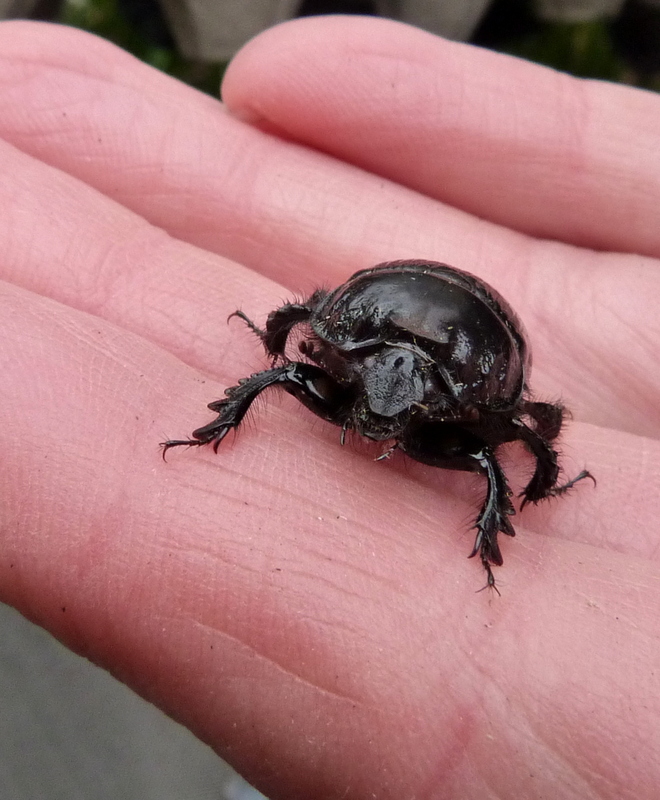 We also caught this female minotaur beetle. But the highlight of my visit has got to a particularly famous and gorgeous mammal. 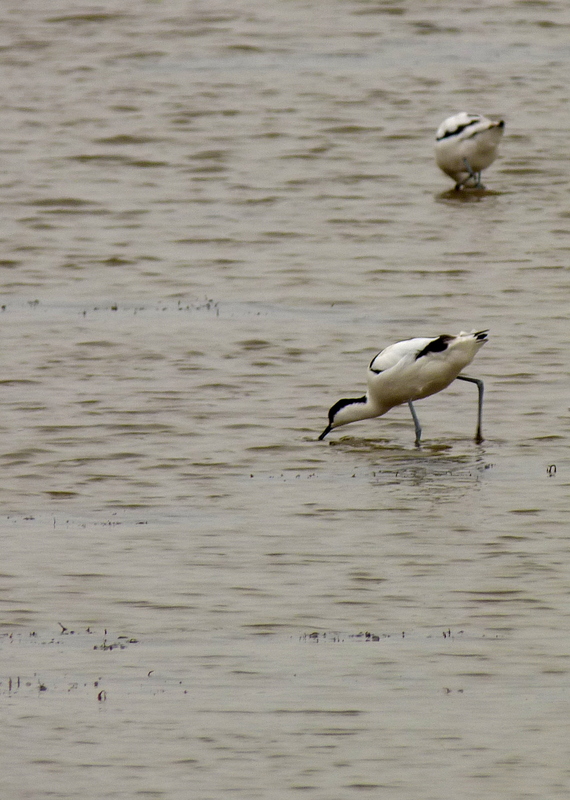 Back at Chesil, interesting birds were also cropping up. 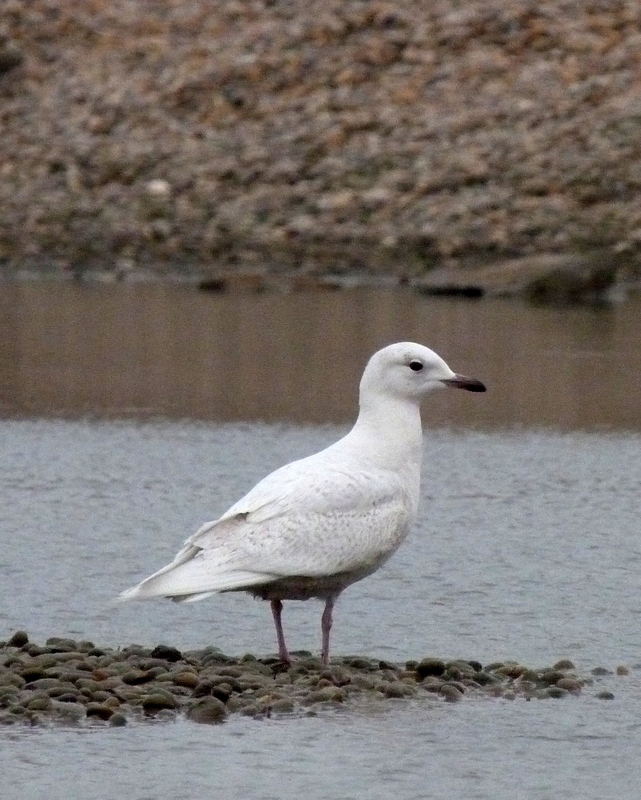 Having seen Twitter reports of the Iceland Gull for the last week, I was keen to see it myself, and finally did! What a gorgeous bird. 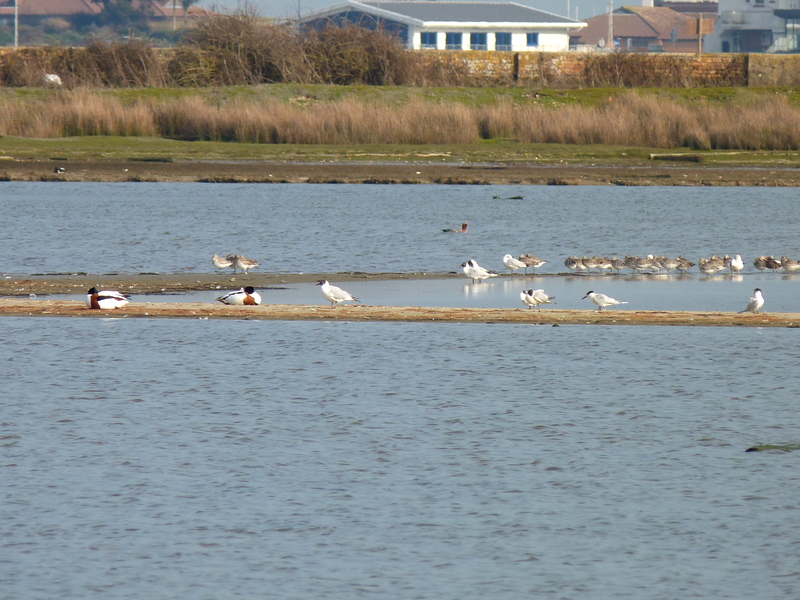 I also saw a red-breasted merganser, a little egret, skylarks and meadow pipits (as well as the usual suspects). 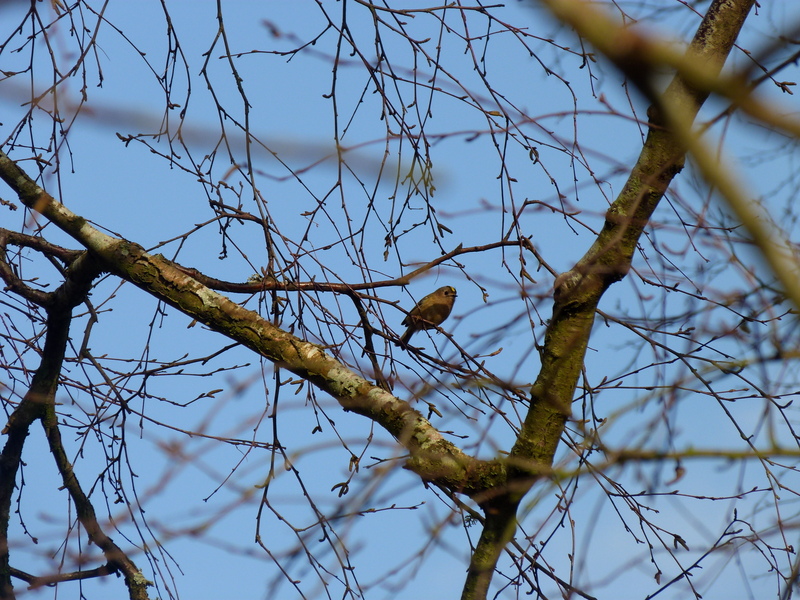 Last but not least on the birding agenda, I joined two other trainees on a WeBS – aka a Wetland Bird Survey. Struggling across very boggy fields was quite hard, more so because I was trying to keep an eye out for birds rather than only watching where I was stepping. It’s harder than it sounds.But I saw a variety of birds, including snipe, little egrets, shelducks and mute swans. My favourite though was the chap below. 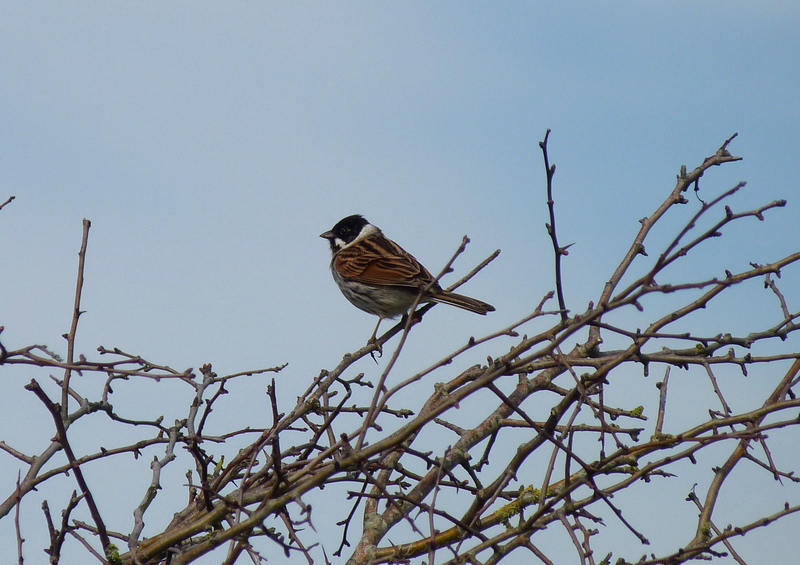 At first I was really doubting myself for thinking “it looks like a sparrow, but it isn’t!” After consulting my bird book, I found out that it was a reed bunting! I was thrilled as I had heard one a couple of weeks past, but hadn’t seen it. 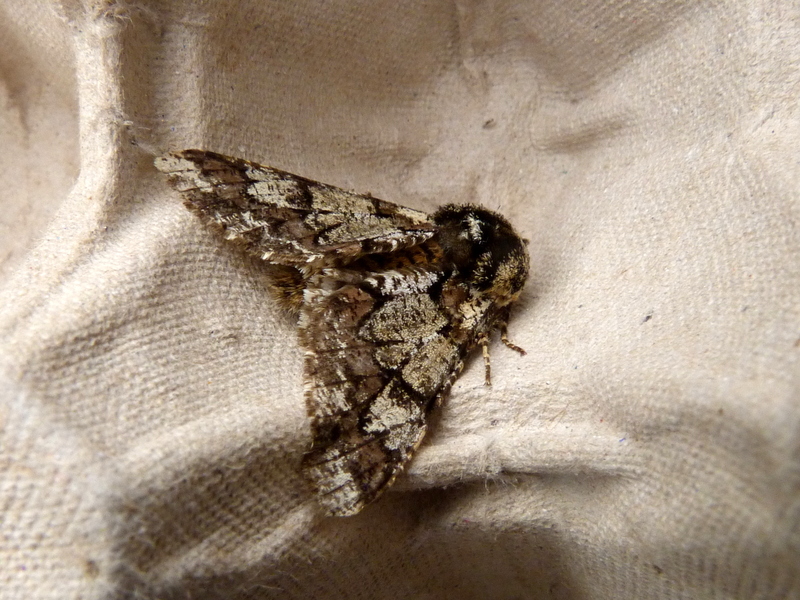 So referring back to the blog title, I do feel that I’ve learnt a lot this week – particularly with bird and moth ID. And although I’m happy that I’ve learnt so much, I will definitely try to get better.